The Baby Boomers are people born between 1946 and 1965. Generation X are people born between 1965 and 1979. 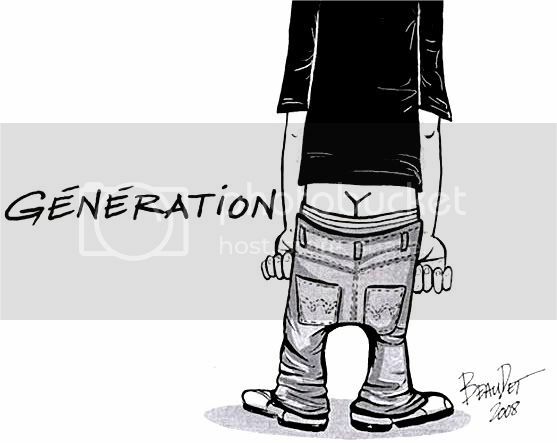 Generation Y are people born between 1980 and 1995. Why do we call the last one Generation Y? � I did not know until now, but the cartoon explains it eloquently... and now you too have learned something new! Fun picture, thanks for a laugh. The silent generation was of the '50's not '40's. Although it really is a misnomer. There is always an issue that stands out in each generation. Hi Bob. I call the current generation of teenagers the "gimme" or "I want" generation. When I was a youngster, some 45 years ago I was more than happy for what my parents gave or could give me. This generation wants to have everything that's available to them regardless of what the costs are. I have seen parents go into hock (borrow) to keep their kids happy, sometimes with dire consequences.